Giana insists on being Kate’s friend. My review: My fourteen-year-old daughter and I both enjoyed this book. Neither of us really knew anything about Cystic Fibrosis, and it was an eye-opening read detailing the struggles of those affected. Learning about the grueling treatments and precautions sufferers must take makes you feel not only for the main character Kate, but for everyone going through this in real life. I also sincerely hope it will make people rethink their decisions to run around with cold and flu symptoms, with no regard for others who can be quite adversely affected. Overall, a very educational read and a welcome break from the usual high school drama. One more positive thing: half of all proceeds will be donated to the Cystic Fibrosis Foundation. 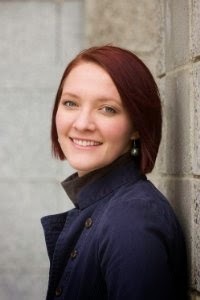 About the author: Michelle Merrill loves kissing her hubby, snuggling her kids, eating candy, reading books, and writing first drafts. She names her computers after favorite fictional characters and fictional characters after favorite names. 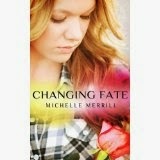 To learn more about her, visit www.authormichellemerrill.com.